Night fell at Sallie Keys Lakes. Although it was getting late, the sky wasn’t getting darker. Yes, the moon was out. It was so bright that its close proximity to the Milky Way washed out the galaxy. So, I turned around and aimed my camera toward Polaris. 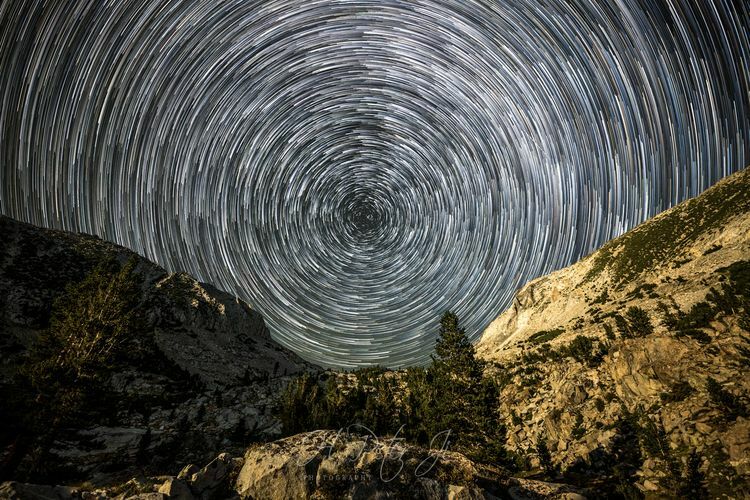 North Star was hung right above Selden Pass. ‘How cool is that?’ I thought to myself. And I got to work. Part of me though contemplated that I would have framed the shot differently - Polaris hung really low to the saddle - if we spent the very night at another lake called Heart Lake above us. Then I heard a couple of loud howls not too far from where I was. Echoed and reverberated against the wall of the ridges, the amplified sound was devilishly eerie. And the only animal that I thought could howl like that was coyotes. A couple of more howls followed, although that was the end of their baying at the moon. Soon, the ghostly silence was swallowed up by the sound of persistent winds.